When looking for liquid storage, Fiberglass Tanks offer a quality and long-lasting structure that can meet all your needs. Functioning as an inert material, fiberglass can store many harsher chemical materials without shrinking, contracting, expanding or splitting. This helps to ensure that your materials stay properly inside of the tank for as long as you need. 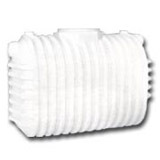 Looking for drinking water storage? A further benefit of this type of material is that it is less likely to leave the plastic taste in your mouth after storage. This makes it ideal for storing both rainwater and drinking water, as it will provide you with safe, clean, and fresh tasting water. These storage units are designed in a few different configurations. Read more. 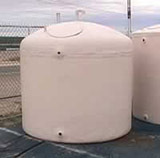 Standard shapes for these tanks include an Above Ground Fiberglass Water and Chemical Tank for a dome-top storage container, Fiberglass Flat-top Storage Tanks for all liquids, and Underground Fiberglass Storage Tanks for storage of liquids that is safe and out of the way. Looking for waste storage? 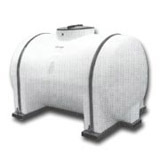 Septic Tanks made in fiberglass are also available with the Fiberglass Above Ground Septic Tan. While these are the standard for these tanks, fiberglass is an extremely flexible material that is completely customizable. Please feel free to call us and discuss your specific requirements or applications. Our team is always willing to work with you and find the perfect solution for you needs.